Orient Watch Company has been consistent with delivering an exceptional quality along with stunning looks ever since its beginning in 1950. Over six decades of expertise has bettered their quality, cost and accuracy but more than everything, it’s their reputation for excellence! This trustworthiness and affordability comes due to the manufacturer putting in the money behind labs and researches, contrary to many other costlier ones spending on advertisements and marketing. The finish and design of the Orient watches exceeds a customer’s needs, demands and their expectations beyond, becoming the best economic diver to a large demographic of users. The exceptional quality of the stunning Orient watches makes them real lookers on the wrists. If anything exudes class and quality without burning a hole through the pocket, it’s invariably the Orient. They are so impeccably finished, it would be ridiculous to expect anything more out of them. 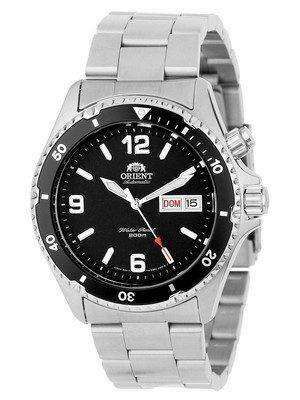 Orient simply makes some brilliant timepieces at incredibly low prices! Concentrating on the various components of a Orient watch, the dials are visually striking and mostly got a metallic touch producing a rotating shimmer at specific angles. There shall always be a finely engraved (not printed) logo atop the dial and the touch is something more than nice, at this price point. It’s very well executed and gives the watch an exceptional visual quality, or you might just call it – Classy! Steel or gold or black ion-plated, all come with an extra bit of shine, which also speaks of its quality and a very high level of finish. The hands and indexes almost always come well-lumed (except in some high-end dress models), but even if they are not in a particular model, there’s enough shine to make it stand out and appear exquisite when hit with the lights. That increases visibility for real thin hour, minute and seconds hands. The shine is bright, not overpowering. The case of the Orient watches have everything about them just right. They look and feel tremendous against the skin or off it; the comfortable heft growing on you right after wearing one for the first time. Brushed, polished and a little bit of both, the Orient Classic Automatic Watches cases mix the finishes very well and they usually stay that way for a lifetime. Every transition to a different surface is seamless. Atop the case are either sapphire or mineral crystals; now, that varies with the price yet not going over the affordability borderline. They do not get dirty or greasy and catch fingerprints easily; that’s a quality found in costlier watches. Orient gives it without robbing you off. Finally, the movements. Orient always uses in-house Orient calibers, a very big selling point that Orient has. They build the movement entirely at their own facilities, which helps them develop high-end stuff at a lower price. This reflects on the overall watch price. 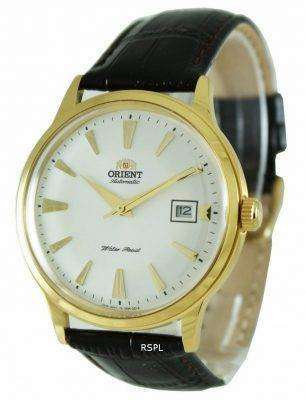 Orient movements are extremely sturdy, reliable and exceptionally accurate. So, if you are getting an Orient, you are getting a well-engineered solution without paying an insane price. All these people admire high-end technology, exclusivity and inexpensiveness and often with features that turn a boring job fun. For example, in certain Orient Mako-s, you don’t pull the crown out and turn it to change the date, there’s a push-button to get it done. This comes handy when months have 28, 29 and 31 days, or when you have not worn it for a few days at a stretch. 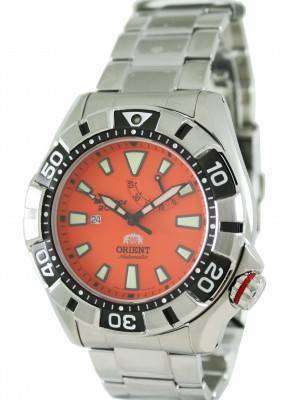 Among Orient’s utility watches, Mako holds a greater reputation. To be true, Mako is one of the Orient models that are more popular among the mass; among certain circles, Mako is synomyous to Orient. It doesn’t matter if it’s just an entry level or a higher-end Mako; the thing is, Orient Mako is a wonderful introduction to the brand. Seiko’s legendary dive-watch concepts drive the Mako; it is assembled in Japan, in-house and at times chunky enough to knock down the bad guy on the bar counter. A tough guy works better with his tool; you got quite a few options here. All sturdy as hell, a Mako trademark. Another thing about Mako is its diverse range. All are a cut above the rest, the watches in this extensive range is highly sought after by professionals and collectors alike. They are priced great, look great, work great and fit diverse situations. There are models that go from the poolside to the pool table and some even further – to workplaces and business meets. If the latter two for you by any chance are the outdoors, it’s all the better. All Orient Mako-s have a few things in common. A high water resistance is the first (200m minimum), so the minimum you can go with an Orient Mako on are surfing, swimming and scuba dives. Scratchproof sapphire crystals are another very common aspect of the Orient automatic watches series. The Orient Mako watch is built in-house in the sense it’s built within the Orient factory in Japan down to its individual parts, not just the assembling. Each of the components are finished painstakingly to keep mismatches and tackiness miles away and enhance everytime its assured, superlative quality. Maintaining the standards results high accuracy and high durability, even under the most adverse of situations. The trend continues since the mid-2000 and today, the Orient Mako offers a reliability that puts to shame many other watches higher up in the price ladder. So if you are after an absolute classic that won’t burn your wallet and will keep you smiling for years to come, despite how much abuse you put unto it, you got no better deal than the Orient Mako! As a rookie watch enthusiast, it is not very rare coming across watches that look magnificent but the name somehow puts you off. It’s not a name you can associate with those you have heard, so don’t allow a good piece slip away due to sheer ignorance. To cite one such brand: It’s Orient. It’s not possible you been to the the watch world and never heard of Seiko; so Orient is owned by Seiko Epson despite operating as a separate watch building unit. Orient’s watch movements are mostly in-house i.e. built by Orient itself and the lion’s share of their focus goes to automatic, mechanical watches, most of which are not hand-wound. You shake the watch a few times to start it from a dead stop and when you wear every couple of minutes store enough power to make the watch run for about two hours. The best are those sold exclusively in the Japan Domestic Market and are hard to find elsewhere. Over the years, Orient has built up a status that conjures up everything that’s best within an affordable price range. Compared to a Swiss watchmaker, Orient’s automatic watches like the Orient Automatic GMT, or the Orient Star Classic Mechanical cost less than a-tenth while exuding almost the same quality; oftentimes, a higher reliability and always – a better durability! All that give Orient automatic watches a worldwide respect and a name that seasoned watch collectors run after. The brand’s automatic timepieces are acclaimed globally for the superior styles and excellent values they offer for a reasonable price. It does two things – It makes the heart go a little less deader if you somehow manage to shatter the timepiece and lets you use it more often than you would a Suisse. That goes for anything between the simple Orient Mako Automatic and the Orient Automatic Nobel Collection pieces. Imagine the price you would pay for watches like the Orient Automatic Arena or the Orient Semi Skeleton Power Reserve Automatic if they were Swiss made. Here’s how Orient started. One thing that’s astonishing is the company’s initial business as sellers of clocks and watches at Ueno in 1901. 50 years later, in 1951, the company introduced the Orient Star, its first wristwatch; now reincarnated as the Orient star automatic Watches, the company’s top-line timepieces. These run on a 21-jewel automatic movement and features extra protection with its Dia-shock shock absorbing system. Seiko licenses it, if that assures you more. 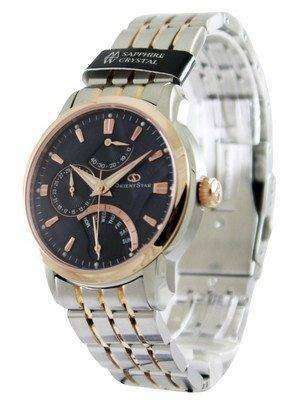 For other 21-jewel movement based automatic timepieces from Orient, see here. However, their consecutive releases broadened horizons over time and their lineup is now heavily influenced by high-end watch concepts, both modern and from yore. Their 50 years of watch selling experience to thank, making proper use of high-quality materials and classic design concepts is something Orient has excelled. To sum it up all: It’s quality craftsmanship, fine materials, precious metals, gems and crystals – all in one package. Orient M-Force Automatic watches gives you the impression of a sort of combination of multiple watches when you buy one. What really sets the M-Force apart is Orient’s use of sapphires (almost a rarity at the price point at which it is offered) besides mineral crystals; dial designs, material quality and colour combinations much, much better than what you get in watches in the class and upgraded hardware like solid links for the bracelet. The movements really need no mention, since Orient has a longstanding goodwill for providing the best in the category and are always on the quest for providing better. There have been many other M-Force models that came up over the years, but the original M-Force is considered a classic even today. Good, ‘first mechanical watches’ for novices and collectibles for veterans, the splendid look and enriching experience of Orient M-Force Automatic watches scratches satisfactorily the itch that compels you to go for a new watch without draining you out of your resources. The M-Force is the most popular sports line from Orient, combining very attractive, classic and clean styling with automatic movements. The screw-down, often offset, protected pushers confirm its diver status. The M-Force name, however; stays somewhat shrouded in mystery, though many of the watch forums claim it’s the circular dolphin logo on the rubber strap of the first Orient M-Force that’s responsible. But then again, the M-Force is a large, fast-moving oceanic shark (genus Isurus; especially the Isurus Glaucus of Indo-Pacific and Australian seas) with a deep blue back and white under-parts. Where does this relate? The dolphin, according to some, resembled more a shark, so the rechristening was M-Force. And the trend of nicknaming of the Orient watch models started. Howe’er, M-Force also means strength (origin is Germanic) and also ‘Child of truth’ in Japanese; the last two seems to be more plausible reasons behind the nomenclature. Orient uses a total of 52 different movements to power the M-Force – the Caliber 40N5A being the most widely used – exhibiting centre to sub-seconds, days; day and date, hand-winding and hacking facilities. On the other end, it is the Caliber 40N5A; an automatic movement originally introduced for higher end models (the King Master, for example) but found way into the M-Force II. But what really helps to define the Orient M-Force is their in-house creation and robustness. The splendid look and enriching experience of Orient M-Force Automatic watches are the result of a complete absence of the cheap, jangly feeling so common in low-priced mechanical watches. The M-Force is built good and solid, with thick and well-machined stainless steel forming its components and bringing them to an impeccable finish. For those with several thousands of dollars to spare, buying a watch is hardly an issue. The rest of us, at least for once in our lifetime, have faced this problem and to keep things under our grip, often ended up buying something big and blingy of little or no substantial value. Often, the price paid is way more than what it should actually have been, but alas, then you are too late. You are not to blame. In a world of numerous watch brands, it’s easy to get carried away; more so, when a plethora of jazzy monstrosities are out there. They blur your vision well; so well, that you fail to notice the most obvious choice. That to say, the Seiko! The Japanese watch company makes watches that are every bit as good as their Swiss counterparts; sturdier and less expensive. For between $500 and $5000, Seiko eliminates soul searching, much hand-wringing and uncritical adulation that often accompanies so many from other globally popular brands. 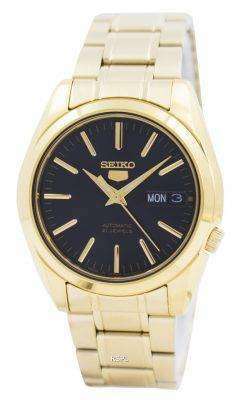 With Seiko, pockets may not once again be emptied, as it used to be in the happy days of yore. The reason that keeps Seiko Watch out of the leagues of atrociously priced sweet nothings is they understand that marketing alone cannot sell a lot of watches beyond a certain point. For Seiko utilises their brand DNA instead of their brand name. Folderol was never a forte with Seiko; their range of excellent watches for excellent value at every price point is. One might argue that why Seiko? Despite so many other brands that make more-accurate-than-necessary, high-precision watches? True, Citizen, Breitling, Bulova and quite a few more brands do that, but do they have the repertoire of offerings, from the most basic to the most sophisticated like Seiko? Nay, there ain’t any! From the self-recharging Kinetic quartz watches to the Spring Drive, Seiko’s roster runs from the most basic to the most classic, stretching to the Grand Seiko luxury-level mechanical watches. They are competent enough to rubs shoulders with Longines, Vacherons and PP; they are very high-end with peerless construction, reliability and finish. Even Philippe Dufour – the God of Movement Finishing – admits it; after that, you really don’t need to rely upon this article to build your faith on the Seiko. So why do some still shy away from? Simply because it says Seiko and not some other name that poses as Swiss! But then again, this habituation to conventional luxury is kind of a sadomasochistic relationship between luxury brands and those who own them. These are the brands that prevent you from appreciating good watch-making at reasonable price points. You simply cannot deny it – the goodness of the Seiko watches and their representation of astonishing values.